Are you looking for closet storage ideas? If so, you've come to the right place. To get the right closet storage ideas let's think of the following scenario: If you live in an average home of say 1200 square feet, closet storage space seems to always be at a premium. Even the best designed and organized closet doesn't seem to be adequate to store and categorize one's possessions. If you're fortunate enough to be the mom or dad in the home, you are in the high ranking position to occupy the master bedroom, which often will have walk in closets and be well organized. But if you're not, then you have the opportunity to become creative in how to resolve the storage dilemma. Sometimes closet storage ideas will just appear out of seemingly nowhere, as you look at your collection of things and try to figure out how to keep them. You have to look at the available space, what you're trying to fit into it, and come up with an attractive, yet functional method to accomplish the task. 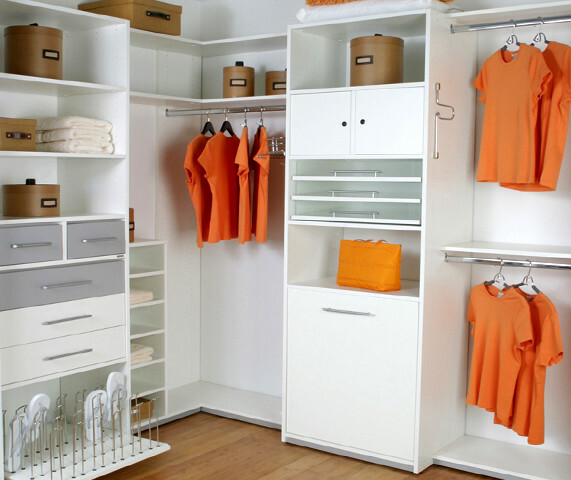 Many home improvement stores sell closet organizers that provide shelving and space to hang garments. This can be a quick and relatively inexpensive way to address storage need. However, be prepared to part with some items, as while the unit aids organization, space is still limited. And, once installed, becomes a permanent arrangement. The best closet storage ideas are ones that allow the user flexibility in design, fulfill the desired purpose, and keep cost to a minimum, without having to turn the project into a major reconstruction. Keep in mind, that something will usually have to be sacrificed to obtain the desired result, be it belongings, time, money, or space. Some families have found construction of a portable closet to be a valuable solution. If a family moves frequently, chances are the average home has had minimal closet space. 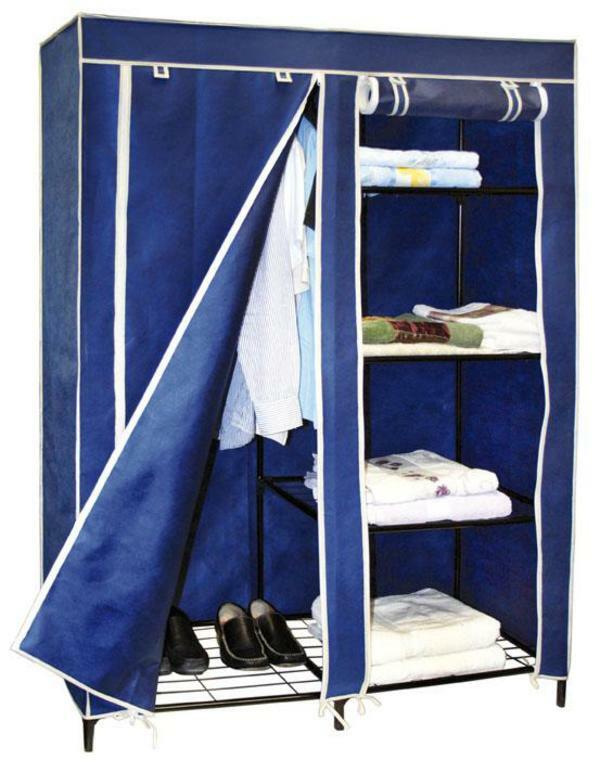 With a portable closet, it can be assembled and dismantled easily as need requires.